What Causes False Positive Pregnancy Test? How To Avoid? Home Pregnancy Tests PT Results & Interpretations What Causes False Positive Pregnancy Test? 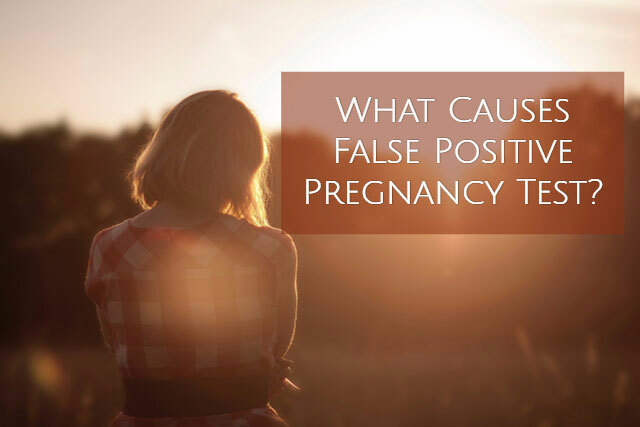 If you came to this article looking for more information on a false positive pregnancy test, then it means that you have some doubts about your test result!???? A wrong pregnancy test result can bring you a lot of undue stress. Hence it is essential to know what causes false positive pregnancy test. Equally important is how common is a false positive pregnancy test and how to avoid a false positive. A false positive pregnancy test is very rare. This is the case when you get a positive result of pregnancy test, but actually, you are not pregnant. How common is the false positive pregnancy test? How to avoid a false positive pregnancy test result? It is very rare and doesn’t occur. Women who cannot distinguish between an evaporation line and positive line encompasses a larger group. Many of them mistake evaporation lines for positive results. One key point is evaporation lines appear only after the time for reading results is over. So it is a human error that gives a false positive pregnancy test. Ovarian diseases like PCOD or PCOS give a false positive pregnancy test: PCOD polycystic ovary syndrome is the condition of development of cysts in ovaries. These cysts are clumps of undifferentiated tissues which impair functioning of ovaries. Ovarian cysts may produce hCG even without pregnancy. The hormone will come with your urine and give a false positive result by the pregnancy test. Medications that lead to coloration of urine give a false positive pregnancy test: Hormone supplements such as hCG injections cause false positive pregnancy test. Anti-inflammatory drugs give urine a color which gives a false positive pregnancy test. Rifampin for Tuberculosis, and medications for Parkinson’s cause false positive pregnancy test. Sulfasalazine and Pyridium given for UTI are the reason for a false positive pregnancy test. Other drugs might shoot the hCG levels produced by the body. Antidepressants, antihistamines, entertainment drugs, narcotics, diuretics cause false positive pregnancy test. Chemical Pregnancies give a false positive pregnancy test result: A chemical pregnancy is a condition when the pregnancy is not sustainable. Such as in the case of ectopic pregnancies (when the embryo implants at places other than womb). In such a state body does produce hCG but the pregnancy spontaneously aborts. About 25% miscarriages are mistaken for periods. So you might get a false positive pregnancy test result. Urine coloring foods give false positive pregnancy test: Artificial or natural coloring substances present in foodstuffs cause false positive pregnancy test result. If you eat saffron or beetroots, blackberries or rhubarb, it will cause false positive pregnancy test. Drink lots of water and pee at least three times before taking the pregnancy test to avoid false positive pregnancy test. Otherwise, it will give false positive results. This evaporation lines will get a pinkish red color. Again it will look like a positive result. Human errors while taking the pregnancy test can cause the false positive result: Reading after time, not following instructions, using an expired kit can give a false positive pregnancy test result. Diseases of urine or urinary tract give a false positive result: Diseases of the excretory system such as kidney stones or urinary tract can make your urine colored. When ketone bodies start coming in the urine of a diabetic patient, then the urine gets a black color. All these cases will give a false positive result. IVF or other infertility therapies give false positive pregnancy test: During infertility treatments, doctors give the woman ovulating hormones that cause superovulation. This is to guarantee that at least one of them will survive. During IUI multiple hormone injections raise the level of hCG. This hCG takes around 12 days to subside. Home pregnancy test after IUI causes a false positive pregnancy test result. Expired pregnancy tests give a false positive pregnancy test: Expired pregnancy tests have degraded hCG antibodies that are incapable of detecting hCG hormone in urine. They might develop color on their own. These antibody lines are indent lines. Hence what you might mistake as a positive result will be a false positive result. A Recent pregnancy that got terminated gives a false positive pregnancy test: Recently terminated pregnancies don’t flow out as miscarriages as soon as aborted. Sometimes the dead fetus stays in for days. In this case, if the placenta is functional, you’ll keep getting positive results which will be false positive results. Evaporation lines or indent lines gives a false positive pregnancy test: Evaporation lines and indent lines are nasty. They corrupt a pregnancy test result only to leave you with the option of taking another test. Evaporation lines might get colored if you urine had color or even reacting with surrounding air. Indent lines are antibody lines that show as positive results especially if they get moist. This way you get a false positive pregnancy test result. Implantation bleeding gives a false positive pregnancy test: If you take the pregnancy test at the time of implantation, then your urine might have some blood clots. If you are taking a midstream pregnancy test, then the situation can worsen as you will not even get to see the blood coming. The line that shows pinkish red after this will be a false positive result. Taking the pregnancy test at the wrong time can give a false positive pregnancy test: If you take the test too early, the chances are that you get a false negative, but you can even get a false positive. Your menses might just be around the corner, and hCG level has not gone up, and the test is just positive because you took an emergency contraceptive. So you get a positive result and then it bleeds later. Miscarriage gives a false positive pregnancy test: Miscarriage is a spontaneous abortion. After the miscarriage, hCG levels take a long time to vanish from your blood. Miscarriage without any exception gives a false positive pregnancy test. This is the reason why some women don’t even come to know that a miscarriage occurred. Leaving the pregnancy test for too long: Pregnancy test has to be read within a specified time. After the time has elapsed, a false positive pregnancy test may happen. Leaving the pregnancy test for an extended time allows it to react with atmosphere and give false positive pregnancy test. Birth control pills or Mirena like IUDs cause false positive pregnancy tests: Birth control pills alter your hormones and can accidentally cause hCG like hormone production. In other case they may not do that but give you symptoms of pregnancy. Mirena crash is the syndrome after removal of the IUD. There is a rare chance that this may cause a false positive pregnancy test. Read more: False Negative Pregnancy Test With Mirena? It is critical that you know what you should do and what to avoid. So it is always a good idea to know what can go wrong while taking a pregnancy test before taking the pregnancy test. Next articleCan Zoloft Affect Pregnancy Test?